COAR lowers its membership fees! The Confederation of Open Access Repositories (COAR) is a dynamic, fast growing association of repository initiatives. Launched in October 2009, COAR now has a membership of over 100 institutions worldwide from 35 countries in 4 continents. Its mission is to enhance the visibility and application of research outputs through a global network of Open Access digital repositories. 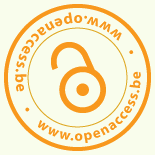 In Belgium, only the UGent Institutional Repository is a member of COAR. If you are a repository manager, why not become a member as well? COAR’s annual fees for 2014 will be reduced from 2500 EUROS to 500 EUROS. This will remove a significant barrier for organizations in joining and participating in COAR. If you want more information, check the COAR Benefits Statement 2013 that outlines the advantages of becoming a COAR member and participating in the global repository community.